A new book by Ed Henry explores how the faith, history and baseball collided in one of most famous decisions in baseball -- hiring Jackie Robinson. 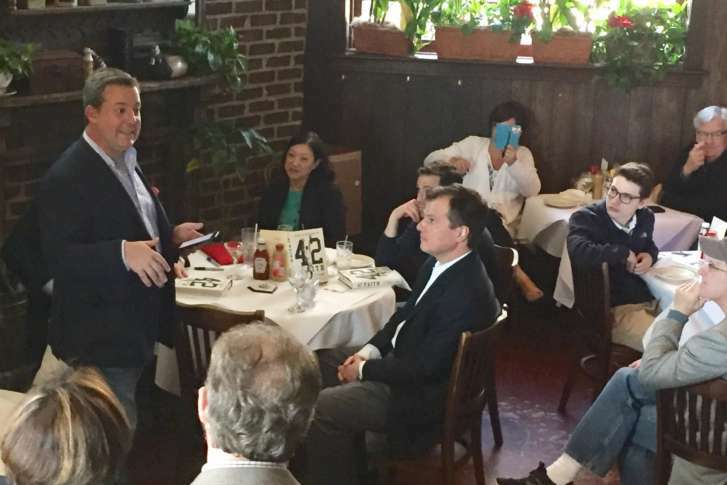 WASHINGTON — A quick comment as he was trying to duck out of a D.C. dinner party sent Ed Henry on a decadelong quest to find the back story to one of the turning points of Major League Baseball and American history. Then the Chief White House Correspondent for CNN, Henry was about to leave the affair at the Belgian embassy when the woman beside him shared the story of her late father-in-law. “She starts spinning this tale how, in 1945, a man shows up at Plymouth Church in Brooklyn Heights,” said Henry. Fifield kept his conversation with the man confidential, but he eventually told his wife. And long after her husband’s death, June Fifield wrote a 5-page essay about her husband’s encounter with Brooklyn Dodgers General Manager Branch Rickey for the church bulletin. The book goes beyond a single encounter between a baseball executive and a clergyman, Henry said. 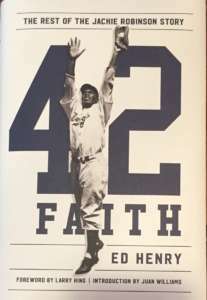 “How much did faith play in both the lives of Branch Rickey and Jackie Robinson? And I found out, an awful lot,” he said. The book is on sale this week, and has received glowing initial reviews and support. “I’m excited for Ed,” said Fox News Chief Congressional correspondent Mike Emanuel. “It’s an exciting new angle on the Jackie Robinson story. Ed dug a little deeper than a lot of the other reporting and found a new angle on it. It’s something that a lot of folks will enjoy reading,” Emanuel said.